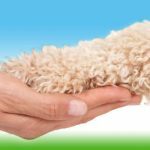 If you are struggling with high excitability, reactivity or any undesirable behaviours such as jumping up, barking, mouthing, nipping, pulling on the lead, lunging at dogs or other triggers but nothing you try and do seems to be gaining any headway, then your dog’s stress glass is most likely to be full to over flowing causing ineffectual training and a lack of attention and focus onto you. You know how it is when we just have a ‘bad day!’ Sleep through our alarm, miss the train and forget your lunch. Someone cuts you up on the road, the school rings as your child is ill and so on. By the end of the day it takes one slight thing and bang, we react defensively. These are negative stresses and when these happen chemical changes occur in our body and our adrenal glands secretes a group of hormones called corticosteroids, these control our body’s response to stress. As well as negative stresses there are also positive stresses, such as exercise, excitement, apprehension or nervousness about an event. Both positive and negative stresses can fill the glass and without constructive ways to re-balance the internal system these hormone levels can stay peaked causing stress on vital organs. Your dogs internal system works in very much the same way but whereas we can rationalise how we are feeling and take on counter measures with rest and relaxation or talking about the highs and lows of our day with a loved one or friend our dogs do not have this ability to empty the glass. Every dog is different in how they cope with both positive and negative stresses and indeed how long it takes to re-balance. Some dogs will have a greater tolerance for external factors but even the most balanced dog’s glass can fill with day to day life. Excitement, arousal, fear and anxiety all contribute to topping it up. Below are some of the factors that can cause your dog’s stress glass to fill up. You are probably well aware of the triggers that raise your dog’s anxiety and arousal. The doorbell, motor bikes, the next door neighbour’s dog, the postman, strangers, chasing a ball, traffic or even the vacuum cleaner. The list goes on. All these elements build up in the dog’s internal system and without rationalisation the glass overflows and influences these frustrated behaviours, the term used for this is ‘trigger stacking’. These can then become very difficult to manage whilst the glass is brimming. So, what can we do to help our dog’s internal system to regain some balance by emptying their stress glass. Moderate high impact exercise to allow the hormonal chemicals time to level. 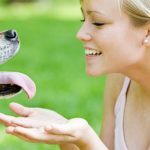 Whereas, you may have been trying to wear your excitable dog out with plenty of daily high energy exercise, you could actually be fuelling the arousal and promoting even more excitement. Heighten levels of cortisol can take anything up to 72 hours to come back to a normal level. Try and alternate the type of exercise combining relaxed quiet walks as well as high impact or dog park play. Designate an area within the home which is a quiet zone for your dog to have some peaceful undisturbed rest. If your dog gets very anxious about external triggers on your walk then choose quieter times of the day or different areas to walk. It may also be advisable to have some walk free days where you play games in your home and garden instead. Keep up a good routine on feeding, walking and bedtimes. Dogs like structure and this lessens anxiety. Calm massages especially in the evening will improve your dog’s emotional wellbeing. Positive reward training and impulse control work releases a’ feel good’ chemical hormone called dopamine into the brain which balances out stresses. Scatter feeding so your dog forages for food, scent work games, treat toys and stuffed Kong’s are all excellent activities for your dog to do and releases calming agents to the brain. Be mindful to your dog’s emotional state and if you are experiencing undesirable behaviours from your dog then firstly consider if the stress glass could be full to overflowing contributing to these frustrations. By introducing some simple solutions of emptying the stressor glass daily your dog can regain some balance and become more relaxed to then be able to connect with you and be more focussed on your commands and any new training regimes.